Electrolysis and corrosion are permanent threats for your boat... Why wait? Control of the "corrosion potential" of immersed metals is the only reliable test that makes it possible to check instantly and simultaneously the good functioning of the anodes and the absence of leakage currents* from onboard or ashore, responsible for a destructive electrolysis. Galvatest now offers boaters and professionals of the nautical industry the methods, practices and tools to effectively fight against corrosion. * They lead to under and over-protection resulting in corrosion and blistering: When and how to proceed? 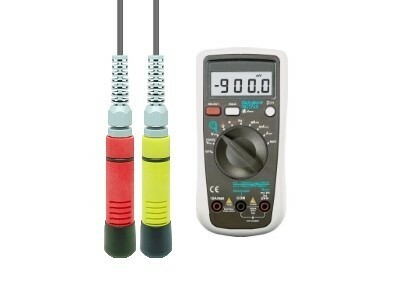 Galvatest mini dipping sensors are Ag/AgCl reference electrodes allowing, when combined with a controller or a high impedance multimeter, accurate control of corrosion susceptibility for metal hulls and all propulsion systems. Their sintering manufacturing technology makes them particularly reliable. Galvatest leds controller is a mobile electronic device, which, combined with its Galvatest sensor, assesses at once, and as often as necessary, cathodic protection level of a metal hull or propulsion system and eventuality of stray currents, responsible for electrolysis, real foes of your boat. 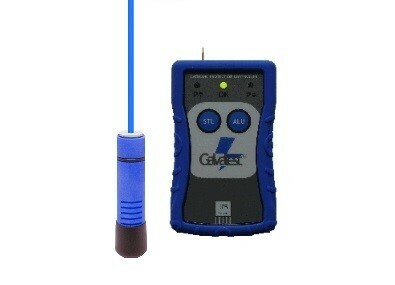 Galvatest kits are autonomous complete control systems intended for crews and nautical professionals. Their regular methodic use is recommended to maintain the good "health" of any boat by checking the efficiency of anodes and ensuring the harmlessness of any servicing work on the boat's electrical circuit. Metal hulls made of steel or aluminium are primarily concerned by electrolysis and the regular control of their corrosion potential. Such control is conducted in "real time" on all big ships and is an integral part of formal ABYC (American Yacht and Boat Council) recommendations for all recreational boats in aluminium. Be very careful with your hanging anodes : if they are made of magnesium at sea, they will be likely to destroy your immersed paint work. They did not die all, but all were struck! 40 mAh received during 30 days will definitely destroy 10 g of aluminium... And because it is a natural phenomenon, your boat did have, have or will have corrosion problems! Don't wait, act now! Consequences of corrosion – often costly – are never covered by insurance companies. Have a look at simulated consequences of a 1 Ah current leak received through an aluminium sail-drive during 100 days, page Demo & Cases. Regular control of metal hulls and immersed equipments corrosion potential is a recommended practice of international standards and major boat and equipment manufacturers. 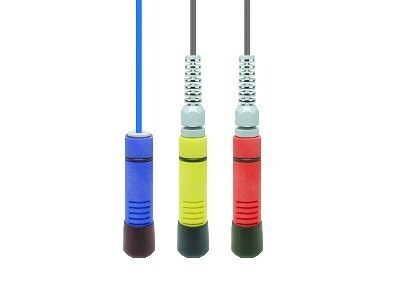 All our electrodes sensors are individually tested. Patented technology. Galvatest is a member of Normandie Maritime. The original comic strip "How goes your boat?" To understand quickly and without painful headache, download our explanatory comic strip. You will learn, with just a few pictures, how to use Galvatest to assess instantly cathodic protection level given by anodes, and if harmful stray currents are eating your boat. With White Paper about cathodic protection published by Galvatest, you will learn all you ought (or wish) to know about galvanic and electrolytic corrosion phenomenons affecting small recreational or working boats.